We offer the finest practice facilities in the area. Our practice facilities are open to the public, with 40 grass hitting stations, three putting greens, and secluded chipping, putting and bunker area. We offer two putting greens, one near each of the first tees of the 9-hole and 18-hole courses. There is also a larger putting/chipping green, located a few hundred yards from the Clubhouse, near the parking lot. This area is set off in relative seclusion, and also has a smaller green with a bunker for chipping/sand practice. The short game practice area is free of charge and players use their own practice balls. These greens, chipping areas and bunker are maintained to the same quality as the golf course. All practice facilities open and close the same as the 18 hole course, seasonally. Our grass tees are consistently the first in the area to open in the spring. You never stop learning, in life or on the golf course! 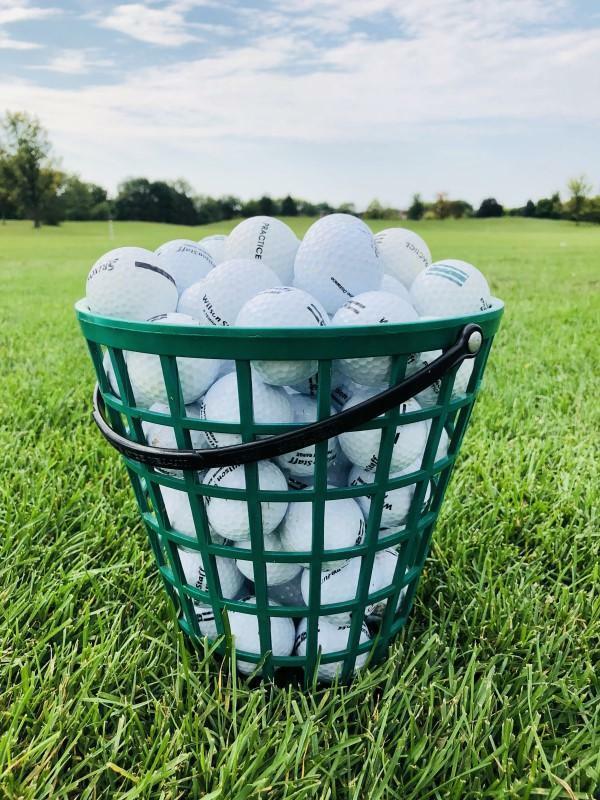 Here at The Village Links of Glen Ellyn, we have everything you need to learn the game of golf so that you can enjoy rounds and not panic over how you’ll play. We have six PGA Member professionals on-staff to offer instruction. Our Guests can virtually get a lesson almost any time. Three of the Professionals use various video equipment as part of their instruction. In addition to our six Member professionals, we have two apprentice professionals who, under the guidance of the Head Golf Professional, participate in Group Lessons. We consider ourselves “keepers of the flame” when it comes to promoting the grand game of golf to the next generation. Junior lessons for boys and girls are offered in half and full day golf camps. Half day camps are geared towards beginning juniors with little or no experience. All day camps are for juniors with some golf experience looking to improve their game. Group lessons for adult beginners are offered in three concentrated, 60-minute sessions. The lessons cover the basic concepts of the game of golf. Students will be taught the fundamentals of full shots, chipping, putting, and sand shots. They will be taught how to practice these shots on their own. Private lessons are the best way to develop your game. Lessons are available by appointment throughout the season. For more information about lessons, please fill out the form below or call (630) 469-8180.